My mum showing off her birthday card. 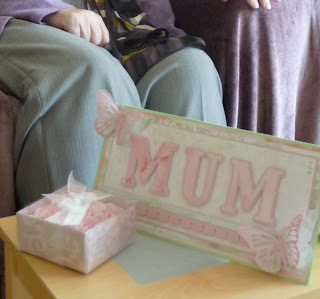 "Mum" was cut on Cricut machine and the butterflies are a Quickutz Revolution die. Papers used are Basic Grey and Bazzill. Martha Stewart Traditional Scallop punch.